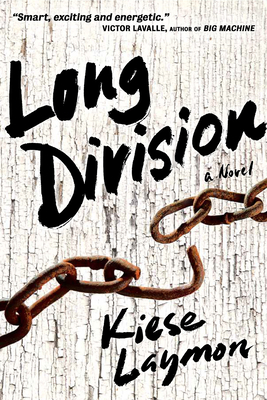 Kiese Laymon's debut novel is a Twain-esque exploration of celebrity, authorship, violence, religion, and coming of age in Post-Katrina Mississippi, written in a voice that's alternately funny, lacerating, and wise. The book contains two interwoven stories. In the first, it's 2013: after an on-stage meltdown during a nationally televised quiz contest, 14-year-old Citoyen "City" Coldson becomes an overnight YouTube celebrity. The next day, he's sent to stay with his grandmother in the small coastal community of Melahatchie, where a young girl named Baize Shephard has recently disappeared. Kiese Laymon is a black southern writer, born and raised in Jackson, Mississippi. He graduated from Oberlin College in 1998 and earned an MFA from Indiana University in 2003. Laymon is a contributing editor at Gawker.com and has written for numerous publications including Esquire, NPR.org, and ESPN.com. He is an associate professor at Vassar College.